Oregano oil is the ultimate antibiotic. Oregano is a powerful herb with unique healing properties. Did you know that oregano has eight times more antioxidants than apples and three times as much as blueberries? Antioxidants are needed to protect our body against free radical damage. They boost the immune-system naturally. Oregano Oil is the most potent plant oil in the world! The distribution of oregano oil started in Ancient Greece. In Greek the word oregano is translated as joy of the mountains. The Greeks were first to use oil for medicinal purposes, such as a powerful antiviral, antibacterial, antiseptic, anti-fungal agent and also as a remedy for pain, and inflammation. It was the main antibacterial tool used by Hippocrates. Oregano leaves were traditionally used to treat illnesses related to the respiratory and digestive systems. Main Ingredients Oregano Essential Oil is a mineral density powerhouse. It contains calcium, magnesium, zinc, iron, potassium, copper, boron, manganese, vitamins C, A (beta-carotene), Niacin. Oregano oil contains four main groups of chemicals which are active healing agents. Phenols including carvacrol and thymol. They act as antiseptics and antioxidants. Terpenes including pinene and terpinene. They possess antiseptic, antiviral, anti-inflammatory and anesthetic properties. Linalool and bonreol are two long-chain alcohols found in oregano oil. They exhibit antiviral and antiseptic properties. Esters include linalyl acetate and geranyl acetate. They exhibit antifungal properties. Although all these compounds possess healing properties, the most significant primary compound found in oregano oil is carvacrol. Scientific research has proved carvacrol to be one of the most effective antibiotics known to science. Real wild Mediteranean Oregano needs to be either of origanum vulgare kind, or Thymus capitatus, which mostly grows in Spain. It is very important to make sure the Oil of Oregano is derived from these two kinds. It also has to have the carvacrol concentration of 70% or more. Most importantly, oregano essential oil does not create harmful strains in the body and does not have side effects the pharmaceutical antibiotics do. Moreover, it is effective against a dangerous and even deadly bacteria, but does not produce biological changes in the body. 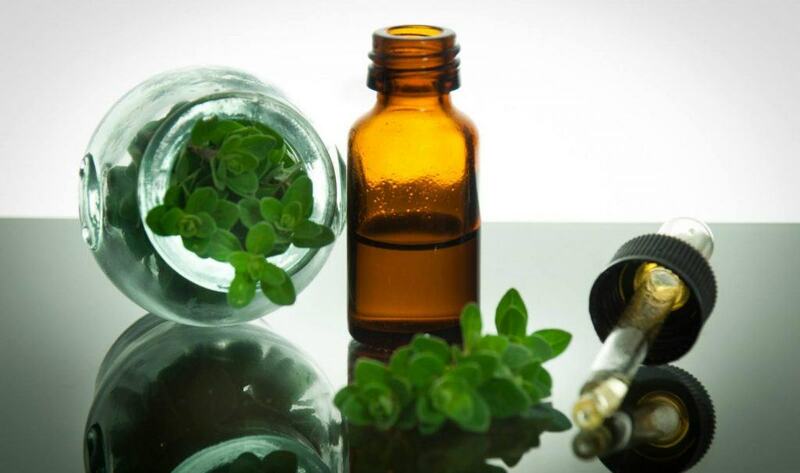 Oregano essential oil nourishes the body and doesn’t deplete it of nutrients like conventional antibiotics do. And if you look at the statistics, people in the Mediterranean live longer for the most part. Maybe partly because of oregano which is added to most Mediterranean dishes! Boil some water in a sauce pan. Once it has reached a rolling boil, turn off the heat. Place your oil of choice and chopped oregano leaves in the jar. Put the jar in the hot water and let it sit for about five to 10 minutes. This heats up the oil and helps the oregano release its natural oils. Remove the jar from the water bath and place beside a sunny window for one to two weeks. Shake the jar every few days. Once the two weeks is up, strain the oil from the leaves and place into a sanitized jar. Store the oil in a dark, cool place. To preserve the oil, add a few more drops of grapefruit seed oil. How Does Oregano Oil Work? The compounds in oregano oil work together to provide the antimicrobial effects this oil is so well-known for. Carvacrol is its most important component, and is responsible for many of its health benefits. Carvacrol has powerful antimicrobial properties, and has been shown to help break through the outer cell membranes that help protect bacteria from your immune system. Oregano oil can either be applied topically or ingested, depending on the condition you’re using it for. However, I advise against using the oil full-strength, as it can irritate your skin. Do not apply it to broken skin and open wounds as well. Oregano oil is meant for short-term use only, and, if using orally, should be taken in small doses of four to six drops for only seven to 10 days.